Launched in 2008 by Stanford graduates Maxim Faldin and Kamil Kurmakaev, Wikimart had the initial ambition of creating a Russian analog of eBay. Heavily funded by major US investment funds, the startup has now become a major marketplace offering its own products alongside nearly 2 million items from 1,500 third-party merchants. 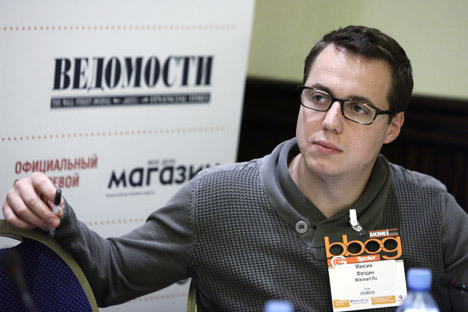 In this interview with the Russian business daily Kommersant, Faldin comments on the latest developments in the Russian e-commerce industry — from Heverest.ru’s bankruptcy to the new attitude of venture investors — and reveals a piece of Wikimart’s growth strategy, which includes the launch of a new cross-border trade business and possibly an IPO after 2016. Kommersant: In March, you began searching for investors for your fourth round of financing. Have you been in contact with Western funds? K.: In the now-bankrupt sporting goods e-store Heverest.ru, they say that Western investors reduced the volume of investment in Russian e-commerce even before Crimea. M.F. : Western investors did reduce investment beginning in 2010, as they have become more selective. No major new players on the Russian electronic commerce market have appeared since then. Lamoda and Enter were the last new ones, and they emerged at the beginning of 2011. That’s because people realized that the sector is capital-intensive and skill-intensive. It takes a lot of money, and even so money doesn’t do it all. Heverest.ru [editor's note: an online retailer of sporting goods launched by Fastlane Ventures in 2011] is a classic case of a company with internal systemic problems making a supposedly objective decision that what is happening on the market will not allow it to develop further. K.: Isn’t your investor Tiger Global Management (TGM) prepared to make further investments in Wikimart? M.F. : What makes you think that? They are. But they already have 50% of the company and they want to bring in financial partners. There is no sense in TGM increasing its stake alone. What do they need 60% or 70% for? But that’s not a problem because now there are a lot of Russian investors ready to invest $10 million, $20 million or $30 million in Russian electronic trading. [Editor’s note: AFK Sistema and MTS have just invested $150 million in Ozon.] As a rule, those are people who have never invested in e-commerce before, or in the Internet at all. They are very interested in so-called alternative assets, because real estate, natural gas and all those other things they had been investing in are looking less and less attractive. K.: How do you envision further developments in financial terms? M.F. : We talk more than enough about 2018, with the idea that the company will hold an IPO after 2016. We calculate that 2015 will be our first operationally profitable year. In 2016, we will have stable profit, a fast growth rate and high volume. K.: How do you plan to manage your investments? M.F. : Russia has the most fragmented e-commerce market I know of. Wikimart, for example, now has just 1% of the market now. Ozon.ru has about 2-2.5% of the market. There are only two ways to consolidate it: increase your share or buy other players. Both of those will happen. Retailing is a cruel world and many are forced to close or sell out. Today we are growing three times faster than the market [editor’s note: around +25% in 2013] and, in a year or two, we will start buying. This is what you will see: large-scale consolidation after the end of 2015. We should be in very good shape in this situation, and have capital. K.: What about the development of your own Internet store? K.: What will this third part look like ? M.F. : It will look like this: we will make an agreement with European producers and distributors and ship their goods to a warehouse rented by us in Latvia, from which we will deliver them to buyers in Russia. For customers, nothing major will change. We sell mainly imported goods already. The change will be that we elimate the Russian middlemen – distributors. We call that the third part of Wikimart because it is a new, large-scale project for us. A lot of money will have to be spent on it – up to $5 million just for the European project. Then we will create a comparable logistical chain in China for Chinese goods. Now we are creating a test structure for the Chinese project with eBay. We will begin cross-border trading in full force in 2015. Faldin’s remark on the readiness of Western business to continue investing in Russia reflects only a part of the whole. While some have confirmed their interest in the country, others exhibit more reluctance. Their reasons range from a generally risky assessment of the Russian market, to specific concerns about co-investing along with Russian funds — which could potentially affect the startup if the Russian co-investor happened to be linked, in any way, with persons or organizations targeted by the recent sanctions. Moreover, both Western and Russian investors tend to favor Russian startups that have global potential, worrying that the Russian market’s potential might be too small. True, this last argument hardly applies to Russian e-commerce. First published in Russian by Kommersant, translated by East-West Digital News.